By Hazel Chua on 08/22/13 • Leave a comment! If you play Angry Birds or just watched their intro video, then you already know why the birds are so peeved at the green alien pigs. 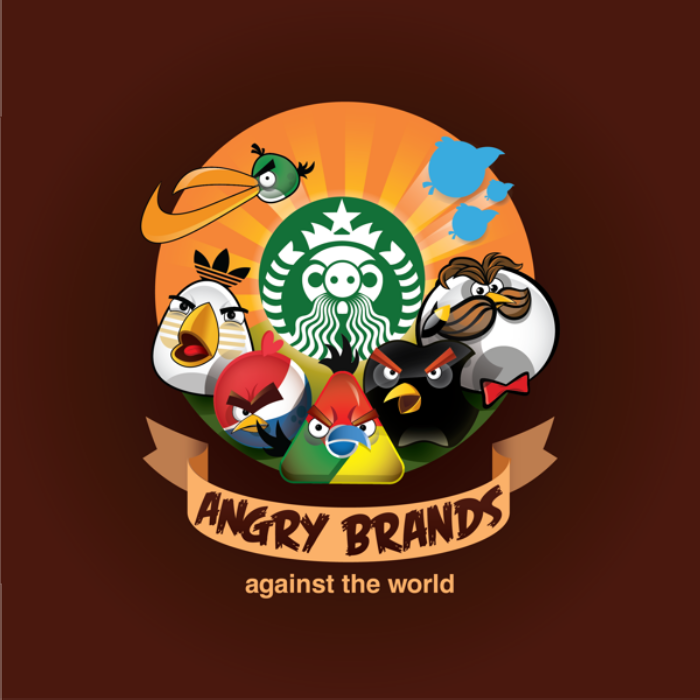 That back story has nothing to do with Russia-based artist Yakushev Grigory‘s gallery called “Angry Brands” though, where he recreates a bunch of famous logos featuring the well-known and ever-angry birds. Love them or hate them, I think the impact the franchise has made is here to stay. By Hazel Chua on 03/29/13 • Leave a comment! What kind of Easter are you going to have this year? Is it going to be one filled with zombies and a cops with a one-eyed kid from The Walking Dead? Or are you skipping the undead this year to go with a livelier but angrier theme like Angry Birds? Whatever mood you’re in, Rene-L‘s Easter eggs have got you covered. Hit the break to check out the rest of the awesome eggs he made for the awesomest Easter Egg hunt ever! By David Ponce on 10/10/12 • Leave a comment! Angry Birds has made Rovio a lot of money. 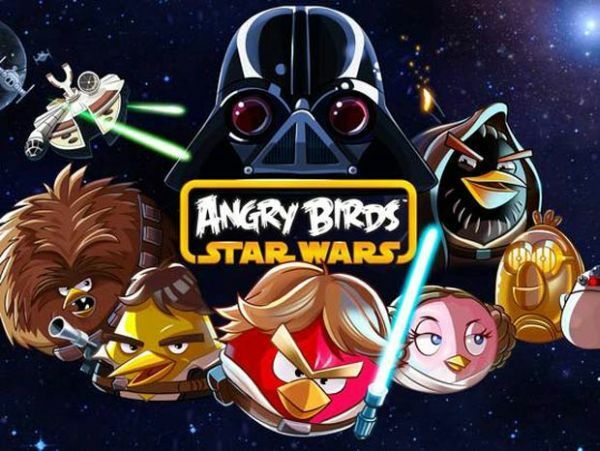 Now, Rovio wants to make even more with this franchise by releasing a Star Wars edition. Yeah… Listen, we sort of understand why Rovio would want to get while the getting is good. Wouldn’t you? And while Bad Piggies, the company’s first game after Angry Birds, seems to be doing well in the App Store, we… really hate it. We’re not sure how enduring its success will be, but we suspect that the current sales pace is partly due to people’s high expectations. Then again, it’s not that the game itself is bad, we just don’t really like that gameplay style. It’s a personal preference, but we feel it lacks the simplicity that made Angry Birds so addictive. In any case, opinions aside, Angry Birds: Star Wars will be available for download November 8th. The game features brand new gameplay, and there is talk of a massive retail launch set to coincide with it. I’m sure you’ve tried playing Angry Birds by now, given that it’s one of the most popular games in the industry. If you haven’t, then I bet you’ve probably heard about it and what the game is all about. In case you’ve been living under a rock you haven’t, it’s basically an action game where you use a slingshot to fling angry-looking birds across your screen to bring the green alien pigs down. Angry Birds is available on a lot of platforms, from the iOS to Android and finally, to the PC. On touchscreen devices, the sling of the slingshot is dragged by the player to aim and send their birds flying, while the mouse does the player’s bidding on the PC. But that’s soon about to change, if you take a hint from Copenhagen-based Hideaki Matsui and Andrew Spitz. 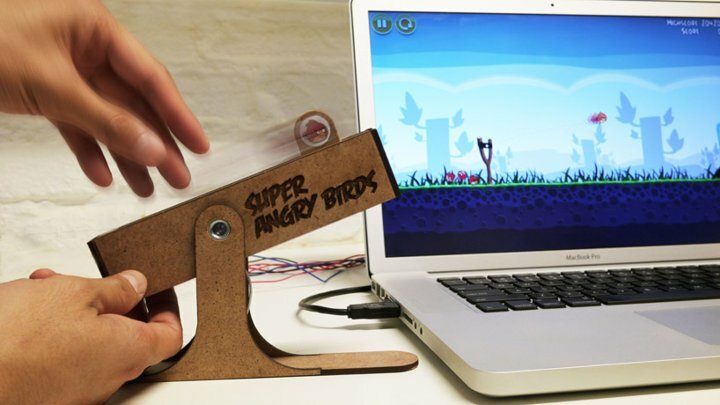 What these guys did was build an awesome ‘Super Angry Birds’ USB controller, which simulates the act of using a real slingshot. The controller detects how much the player pulls the bird back and the angle that they’re tilting the slingshot to fire the bird off in the right direction on the game screen. The duo put the controller together using a hacked motorized fader found in audio mixing consoles and manages the hardware with an Arduino-based micro-controller developed by the Copenhagen Institute of Interaction Design. Throw in bits of code programmed in max/MSP and you’ve got Super Angry Birds right there. Check out a video of the controller in action after the jump.